In the centre of my front garden there is a small tree, well more shrub in size, with delicate variegated leaves. It has been there many years and grows very slowly. Like so many plants in all our gardens, it is special to me as there is a story behind its acquisition. Many years ago (age rearing its head again!) 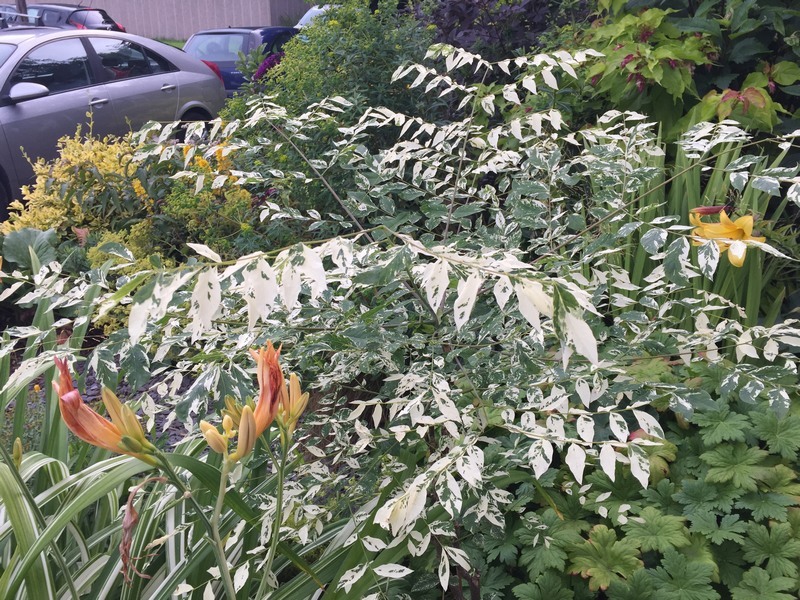 I was asked by a plant collector friend from the USA if I could trace a supplier of Gymnocladus dioca 'Variegata', as he had a challenge on with a friend to be the first to acquire this rare tree. 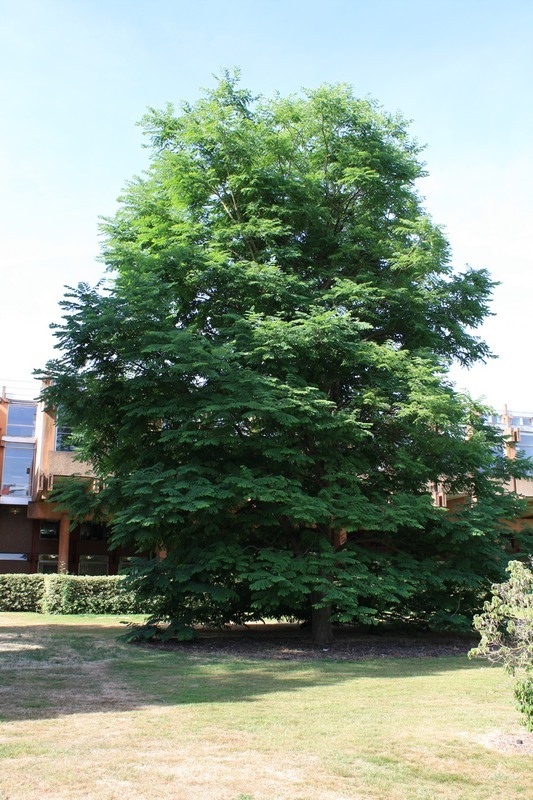 I knew of the green species, Gymnocladus dioica as it grew in the grounds of Reading University, which I managed back in 1980's. 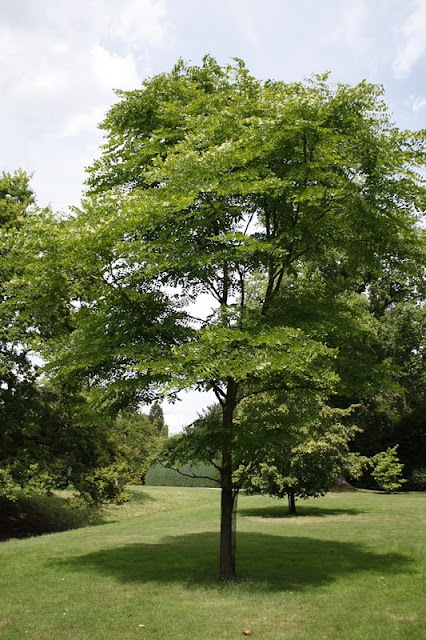 I remember it as a young tree with handsome green pinnate foliage. 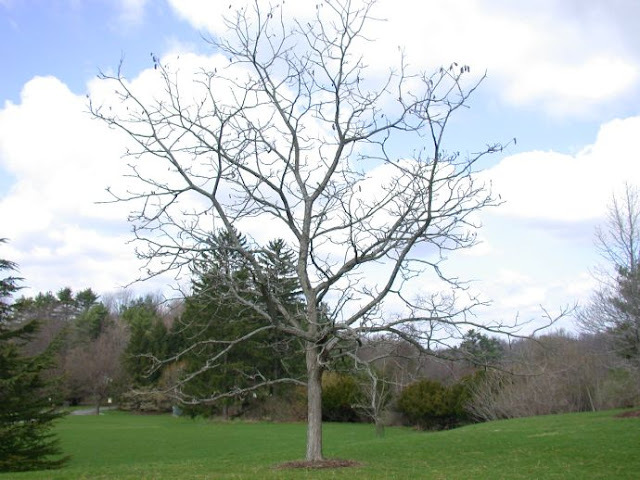 It was distinct in the winter as the leaves dropped in autumn but the petioles, leaf stalks did not fall till the spring, so it had a strong skeletonised shape over winter. It is a native to the American mid west and was for some years the state tree of Kentucky. Its seed is toxic when raw but when roasted can be used as a coffee substitute, hence the common name of Kentucky coffee tree. Back to the story! There were no commercial suppliers of the desired tree in the UK but I did track down a specimen in the Hillier arboretum and the Director agreed to supply scion wood. So the following winter I purchased three small plants of the green species tree and delivered these with the scion wood to Pershore college who in those days offered a grafting service. A year later I collected three small plants of the oh-so-desirable variegated form. Two were dispatched to my friend in the USA and the third I kept, which now graces my front garden. Sadly by the time the trees arrived, my USA friend's challenger had died, so it was all rather pointless. But nevertheless I have a pretty small tree with a curious story!